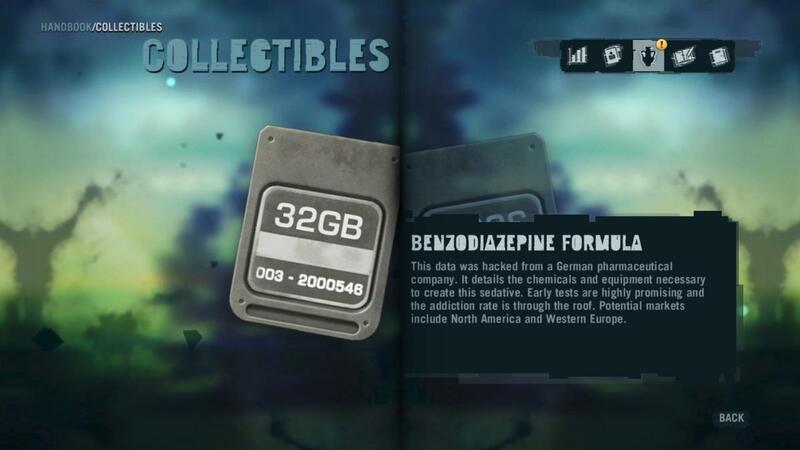 Far Cry 3 Memory Cards Locations Guide - Memory to Spare. Find all the Far Cry 3 Memory Cards Collectibles! 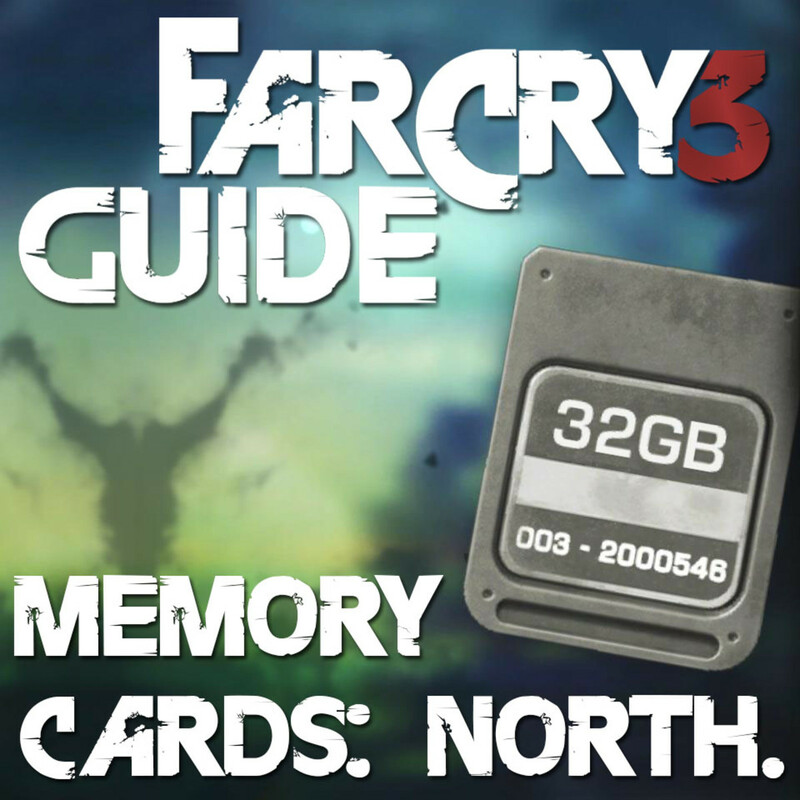 Welcome to the Far Cry 3 Memory Cards Locations Guide. 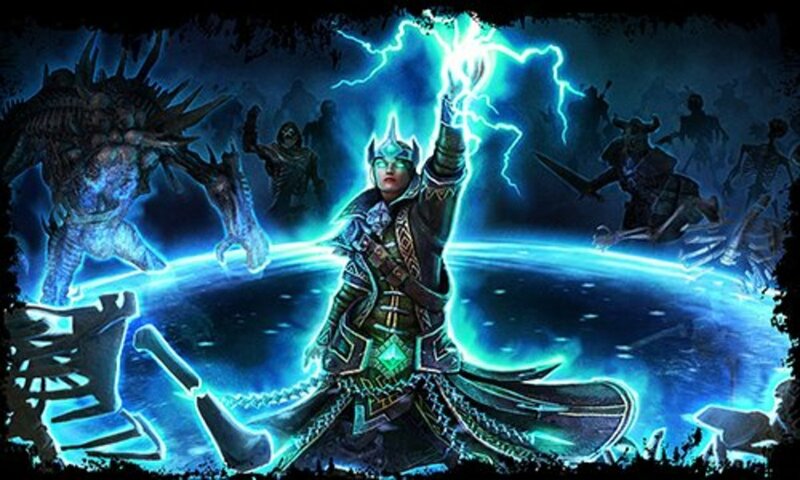 Within this guide you'll see a map showing you the outposts with collectible memory cards for the achievement Memory to Spare, along with screenshots of the memory card handbook entries. 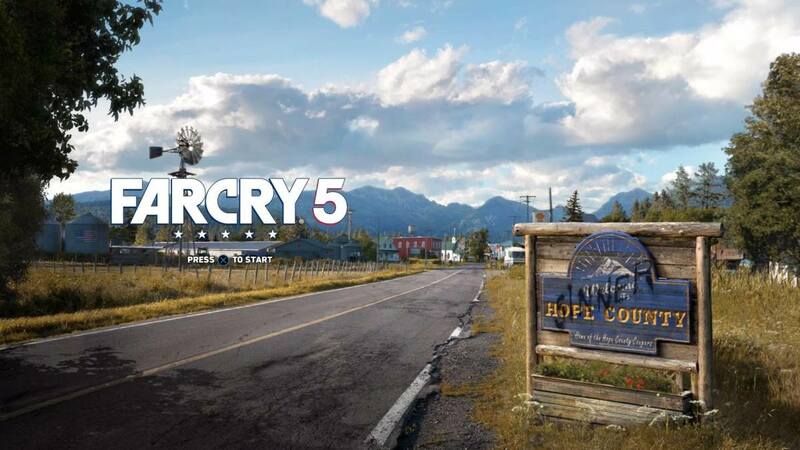 Rather than spending $500 per map to see the locations (and you still can't see them until you've un-jammed the radio towers! ), save the cash for the awesome Signature Weapons, including a sniper rifle that one-shots bears and almost everything else! All of the Memory Cards are found within the "safe house" area of each outpost (the buildings with the self-service weapons vending machines.) Look for the glowing laptops! Memory cards 1, 2, 3, 4, 5, 6, 7, 8, 9, 10, 11, 12, 13. Looking for the southern island's memory cards? Far Cry 3 Relics Locations Guide - Archaeology 101 - Part 1. Far Cry 3 Relics Locations Guide - Archaeology 101 - Part 2. 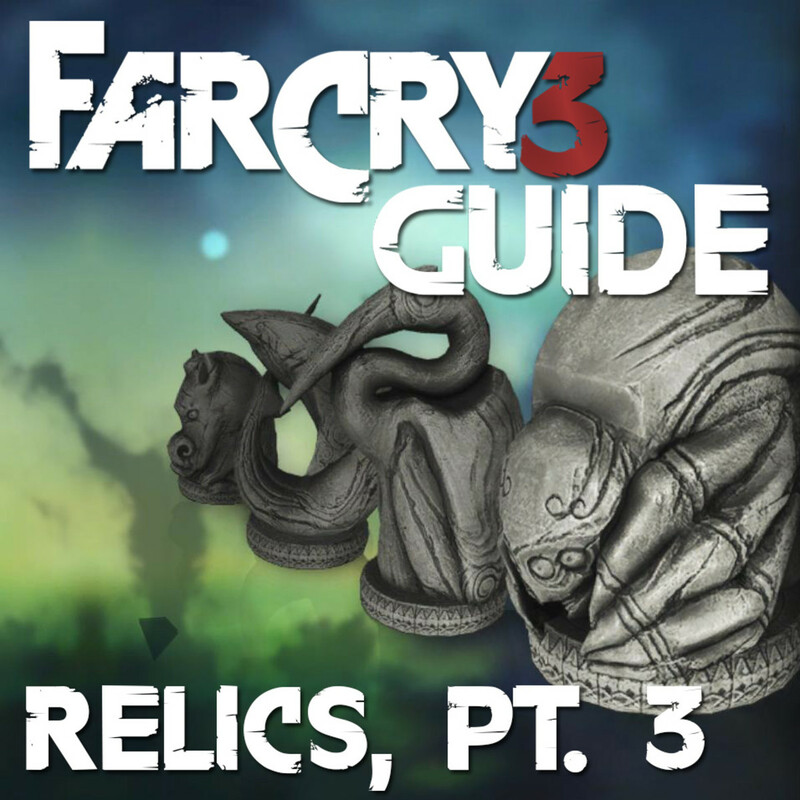 Far Cry 3 Relics Locations Guide - Archaeology 101 - Part 3. Far Cry 3 Relics Locations Guide - Archaeology 101 - Part 4. Far Cry 3 Relics Locations Guide - Archaeology 101 - Part 5. Far Cry 3 "Letters of the Lost" Locations Guide - Dead Letters. 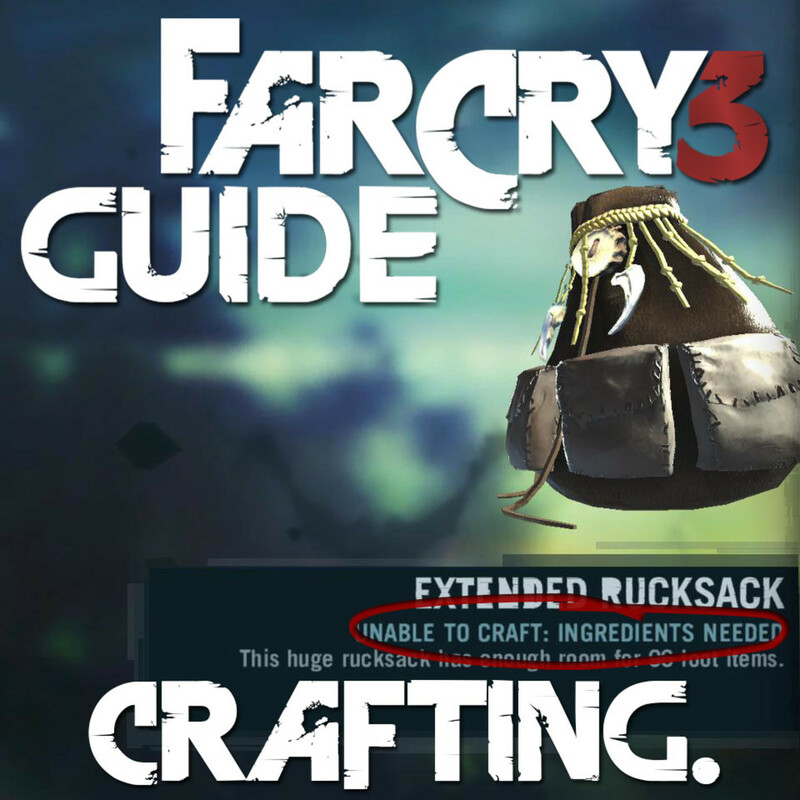 Far Cry 3 Crafting Guide - Path of the Hunter: Rare Animal Mission Locations. Far Cry 3 Freefall more than 100m and live - Freefall achievement. 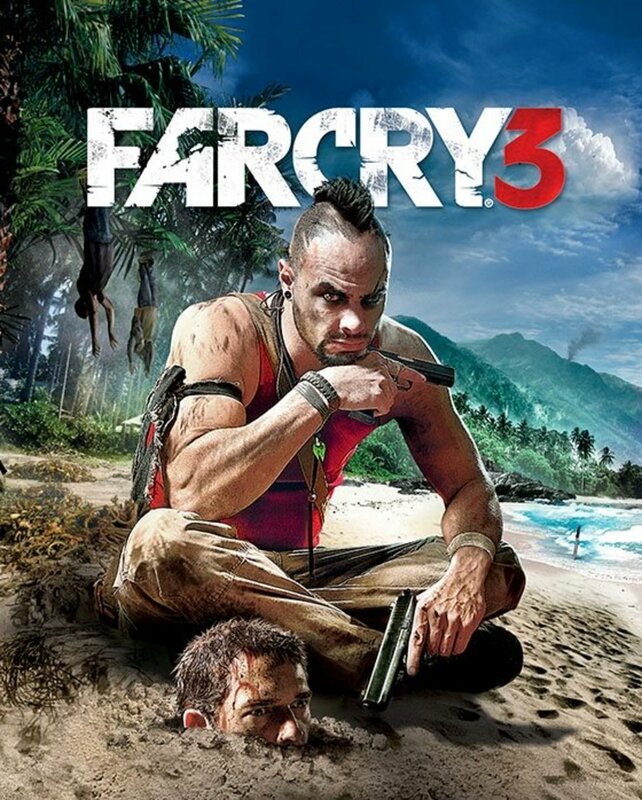 Far Cry 3 "A Connection to the Past" Mission Guide. 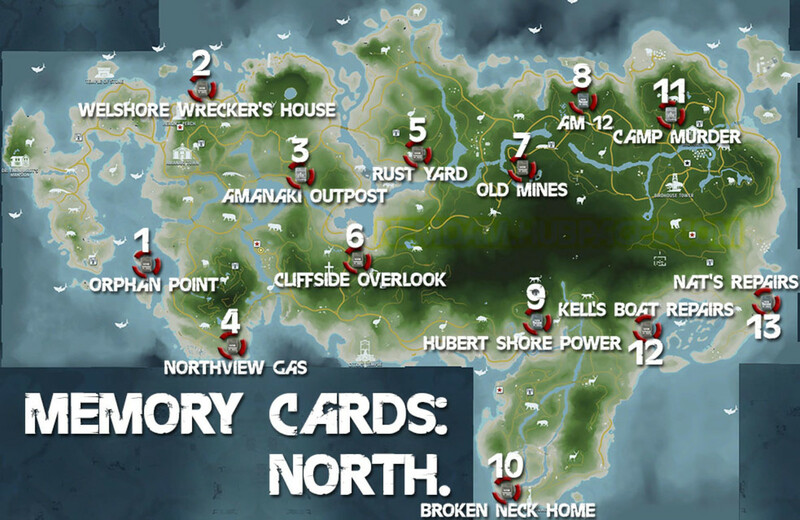 Far Cry 3 Memory Card Locations Map - North Island. Far Cry 3 Collectibles: Memory Card 1. Memory Card 1 is found upon the laptop within the safe house at the Orphan Point outpost. Collectibles - Memory to Spare achievement: Memory Card 1. Far Cry 3 Collectibles: Memory Card 2. Memory Card 2 is found upon the laptop within the safe house at the Welshore Wrecker's House outpost. Collectibles - Memory to Spare achievement: Memory Card 2. 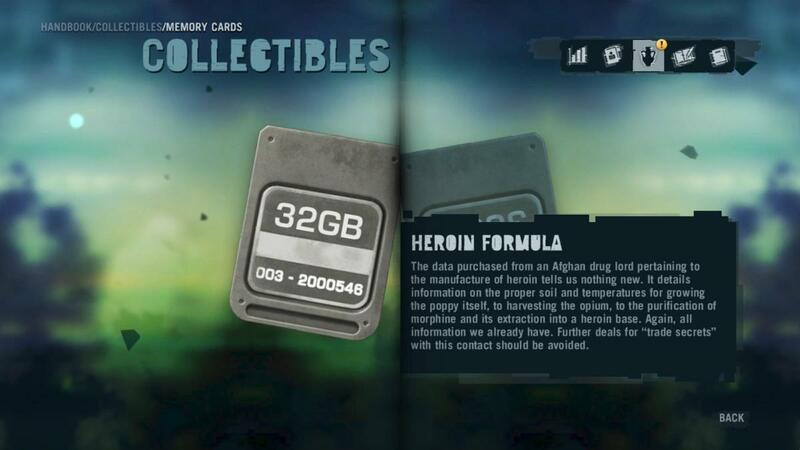 Far Cry 3 Collectibles: Memory Card 3. 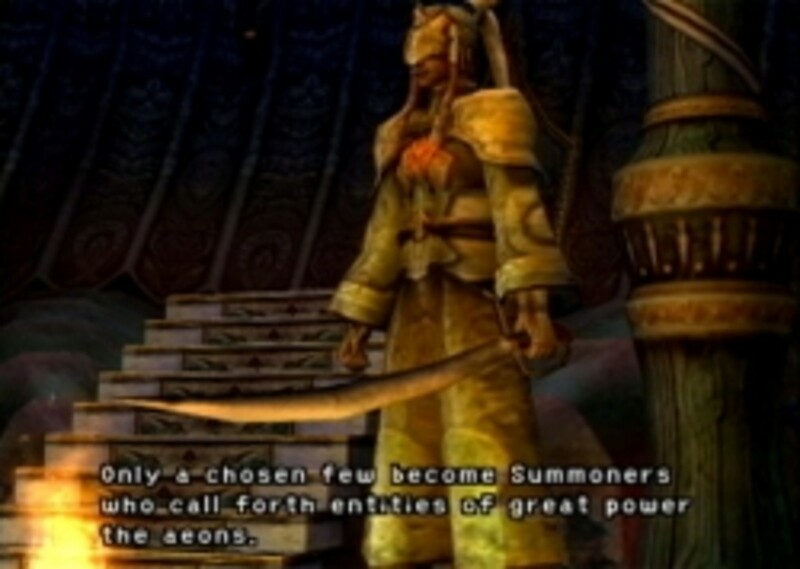 Memory Card 3 is found upon the laptop within the safe house at the Amanaki outpost. Collectibles - Memory to Spare achievement: Memory Card 3. 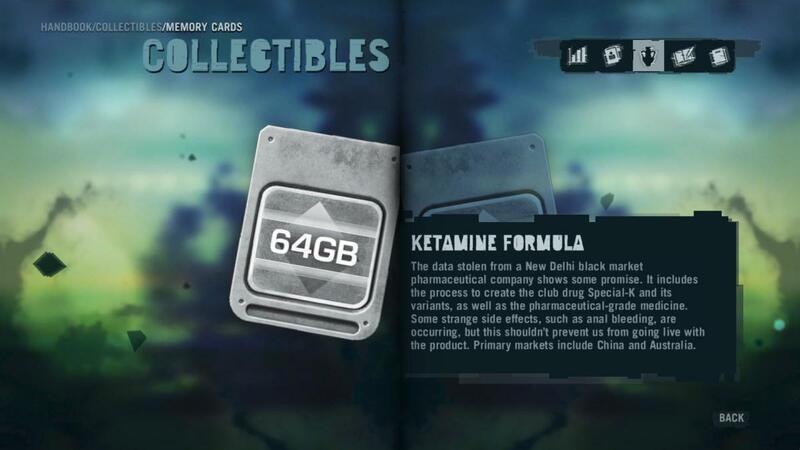 Far Cry 3 Collectibles: Memory Card 4. Memory Card 4 is found upon the laptop within the safe house at the Northview Gas outpost. Collectibles - Memory to Spare achievement: Memory Card 4. Far Cry 3 Collectibles: Memory Card 5. Memory Card 5 is found upon the laptop within the safe house at the Rust Yard outpost. Collectibles - Memory to Spare achievement: Memory Card 5. 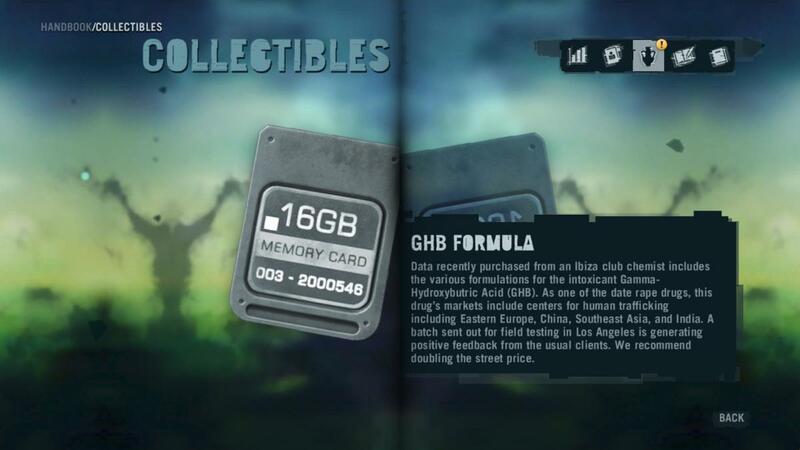 Far Cry 3 Collectibles: Memory Card 6. Memory Card 6 is found upon the laptop within the safe house at the Cliffside Overlook outpost. Collectibles - Memory to Spare achievement: Memory Card 6. 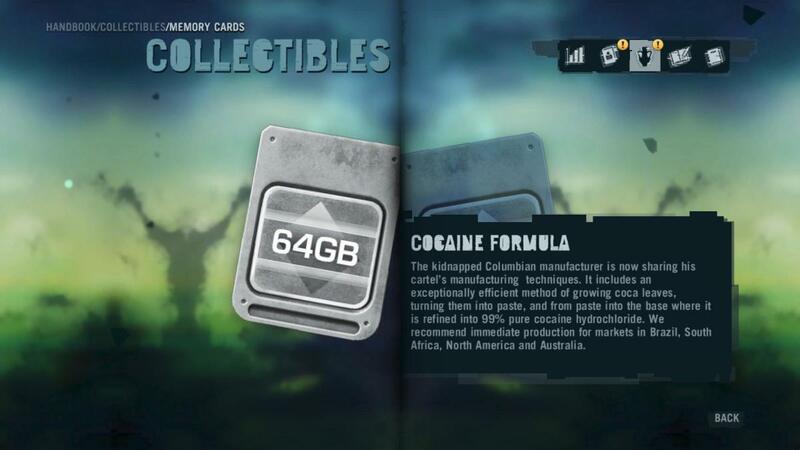 Far Cry 3 Collectibles: Memory Card 7. Memory Card 7 is found upon the laptop within the safe house at the Old Mines outpost. Collectibles - Memory to Spare achievement: Memory Card 7. 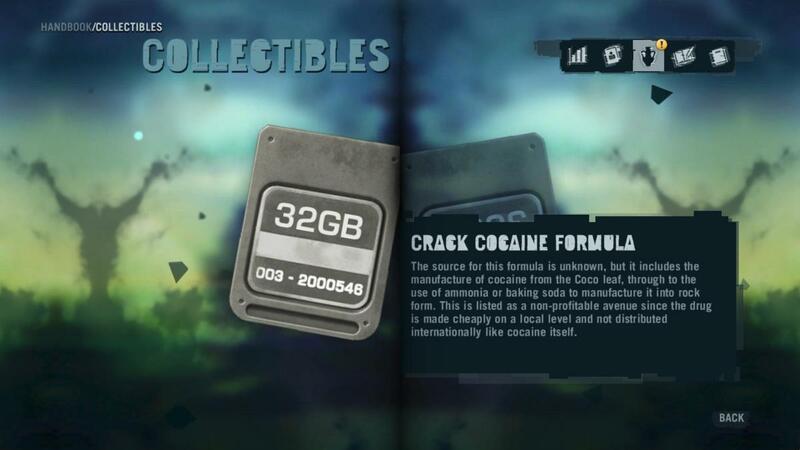 Far Cry 3 Collectibles: Memory Card 8. Memory Card 8 is found upon the laptop within the safe house at the AM-12 outpost. Collectibles - Memory to Spare achievement: Memory Card 8. Far Cry 3 Collectibles: Memory Card 9. Memory Card 9 is found upon the laptop within the safe house at the Hubert Shore Power outpost. Collectibles - Memory to Spare achievement: Memory Card 9. 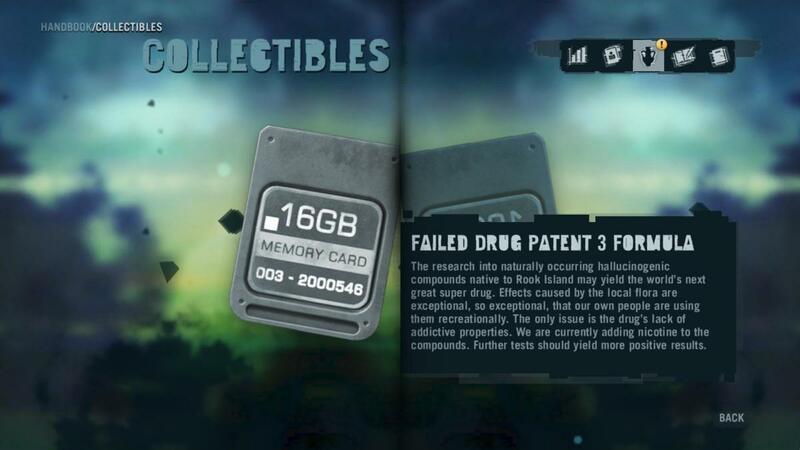 Far Cry 3 Collectibles: Memory Card 10. Memory Card 10 is found upon the laptop within the safe house at the Broken Neck Home outpost. Collectibles - Memory to Spare achievement: Memory Card 10. Far Cry 3 Collectibles: Memory Card 11. Memory Card 11 is found upon the laptop within the safe house at the Camp Murder outpost. Collectibles - Memory to Spare achievement: Memory Card 11. Far Cry 3 Collectibles: Memory Card 12. Memory Card 12 is found upon the laptop within the safe house at the Kell's Boat Repairs outpost. 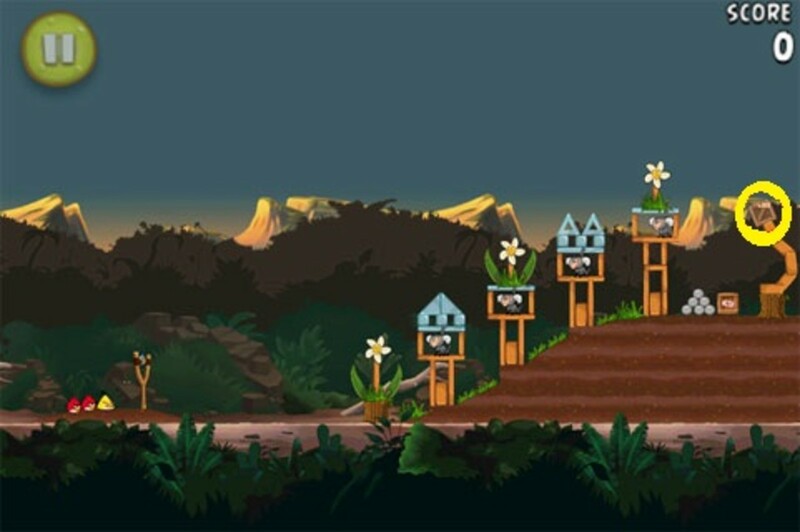 Collectibles - Memory to Spare achievement: Memory Card 12. 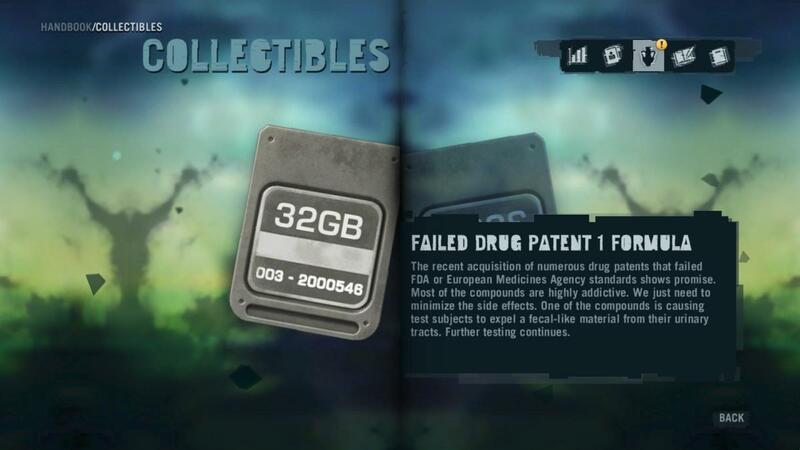 Far Cry 3 Collectibles: Memory Card 13. Memory Card 13 is found upon the laptop within the safe house at the Nat's Repairs outpost. Collectibles - Memory to Spare achievement: Memory Card 13. Great guide, I never did quite find them all back in the day.